Praise God! 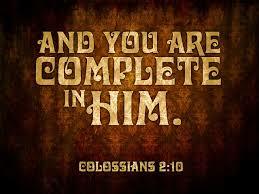 Friends, we are complete in Christ Jesus. We were bought with a price, the precious price of the blood of God’s dear son Jesus Christ. We are not our own, we belong to Christ and as such joint heirs of the promise. We are beyond reproach! You and I are not permitted to go through life aimlessly. 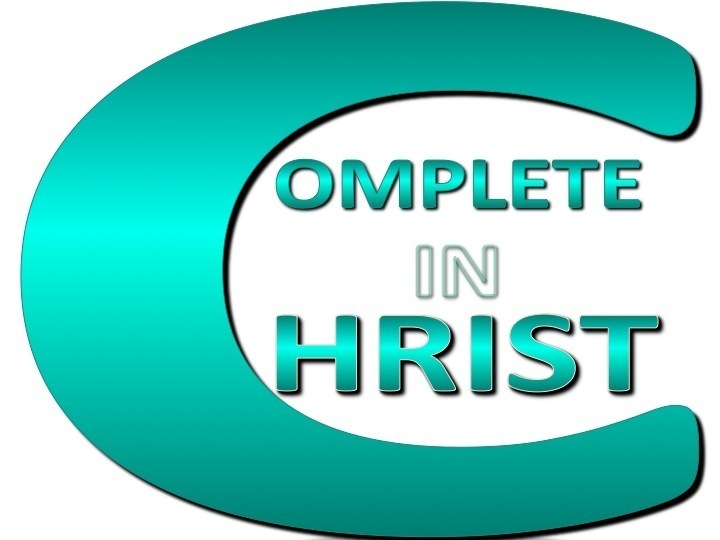 Colossians 2:9-15 For in Christ all the fullness of the Deity lives in bodily form, 10 and in Christ you have been brought to fullness. He is the head over every power and authority. 11 In him you were also circumcised with a circumcision not performed by human hands. 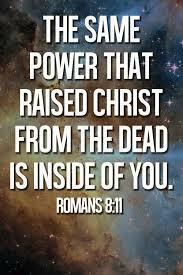 Your whole self ruled by the flesh was put off when you were circumcised by Christ, 12 having been buried with him in baptism, in which you were also raised with him through your faith in the working of God, who raised him from the dead. We have the mandate to dominate which was stolen from us, however, Christ purchase it and gave us full custody backed up by heaven. We should and must not be tossed here and there. Stand firm and exercise your authority, trusting God to back you up. There is a plan, there is a guide – the Holy Spirit will guide and guard our every step. You and I will not miss it. Take hold of Christ hands, let him lead you. Christ is asking, what do you want me to do for you? Mark 10:51. What do I want? One thing is sure across board, we all need clarity in every facet of life. Clearer vision? Yes! Depth of insight into the deep things of God. What is the next stage of life? How is it going to play out? Am I on point? On course? Have faith. So then, just as you have received Christ Jesus as Lord, continue to live your lives in him, rooted and built up in him, strengthened in the faith as you were taught, and overflowing with thankfulness. Colossians 2:6-7.